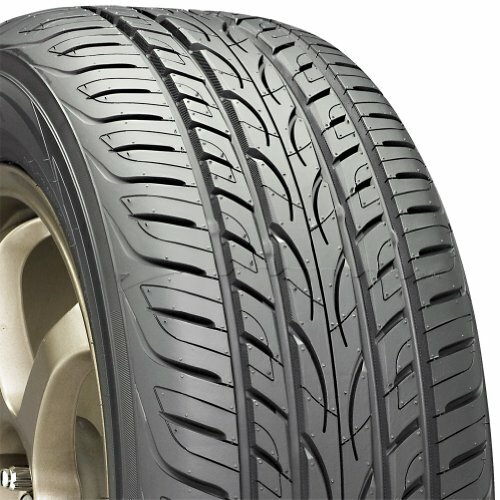 The Yokohama AVID ENVigor tire line includes H- and V-speed rated High Performance All-Season radials developed to meet the year-round driving needs of sports car, coupe, sedan and crossover drivers. AVID ENVigor tires are designed to combine performance, comfort and treadlife along with year-round traction, even on light snow-covered roads. The AVID ENVigor radial's all-season silica tread compound is molded into an optimized contact patch featuring a five-rib directional pattern that blends performance with all-season traction. Linked shoulder blocks and a continuous tapered center rib increase tread rigidity to improve straight-line tracking and handling. Independent intermediate blocks, angled grooves and adaptive 3D sipes enhance wet traction, help resist hydroplaning and promote traction in light snow. The AVID ENVigor radial's internal structure features twin steel belts reinforced by a jointless nylon belt cover that is spirally wound to provide long-term integrity under high-speed conditions while it reduces tire weight and promotes more uniform ride quality. A polyester body helps provide smooth ride quality. If you have any questions about this product by Yokohama, contact us by completing and submitting the form below. If you are looking for a specif part number, please include it with your message.